There are hell lot of Android games and apps available for free, many are addicted to play Android games these days. But the sad thing is many awesome games are available only for the Android. What if you wanted to play Android Games on your windows PC ? Yes now you can play an Android game or App on your Windows 7/8/XP. 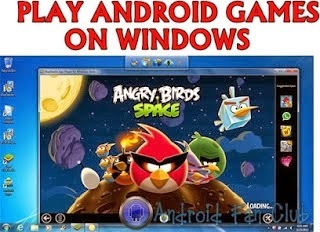 This post will show you “How to play android games on windows XP/7/8". We are going to do this using Android emulators. Here are the 4 ways using which you can play Android game in windows Operating system using Android emulators. 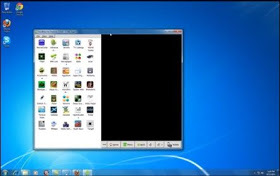 Bluestack is a free Android emulator and it can be installed both on Windows and MAC operating system. It’s pretty easy to use Bluestack. You can download the files from Android official GOOGLE PLAY Store and install apps on it. You can also install apps from other Android markets using this bluestack. This even supports HD android games, so that you can play them on your PC without any problem. I use this on my PC and its working really fine. How to play android games on windows using bluestack ?? It will take some time to download the required files and then the Bluestack will get installed in your PC. So wait for few seconds for the setup files to get downloaded. You can install the Android Apps and Games in 2 ways, either by downloading the APK files to your PC and then installing or by downloading in Bluestack itself. 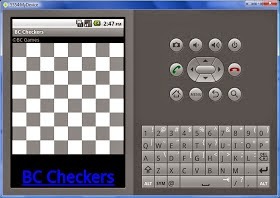 You can search for the Android games and apps that you require from the search box provided and then can install them. Youwave also works fine to play Android games on your PC, but this is not available for free, Youwave is a paid emulator. Even in Youwave itself you can download the apps from the different play stores and play Android games on your PC. This is the official emulator and this is used for by the Android Apps developers to test the apps instantly, even you can install any sort of apps on your windows machine using this Android SDK. It supports windows 8 too. LIVE ANDROID is completely different from the above mentioned Emulators, ANDROID live is nothing but of a complete operating system which can be installed in your computer or laptop. You can install then on your virtual machines on virtual box and it will act as new operating system. You can download this from the given link below and start using it. So, using any of the above, Android emulators you can easily install and play Android games on your Windows PC without any problem. Bluestack is my favorite one and I recommend you to use that, If you are facing any problem with that then try the other options too. If you have any problems regarding this post, kindly comment below and I am always happy to help you. I will recommend you Bluestacks for smooth experience..! !